Gas Leak Philadelphia | Gas leak detection Gas leak repair in the Philadelphia area. If you smell a foul odor in your home and you suspect it is a gas smell, then immediately exit your home and call your utility provider. The utility provider will come out and immediately turn off your gas. A gas leak is a serious danger to you and your family. Call Philly-Plumbing for all gas leaks detection and repair. The plumbers at Philly-Plumbing will use their gas leak detectors to find any gas leak you have in your home. Once they have found the leak, they will fix the gas leak and prevent any future leak from that source. The plumbers at Philly-Plumbing are certified and trained to detect and repair gas leaks. They can replace any corrugated stainless steel, iron and polyethylene pipes and have your gas turned back on quickly and safely. 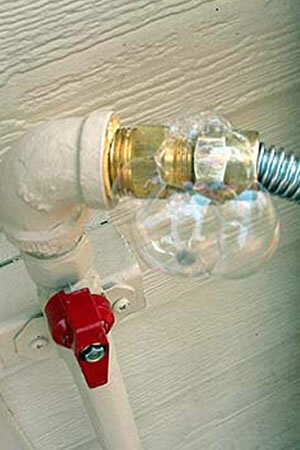 Trust only the professional plumbers in the Philadelphia area for all gas leaks. Call Philly-Plumbing at 267-202-5290. Immediate Gas Leak Repair Service in 1-2 hours (in most cases)!